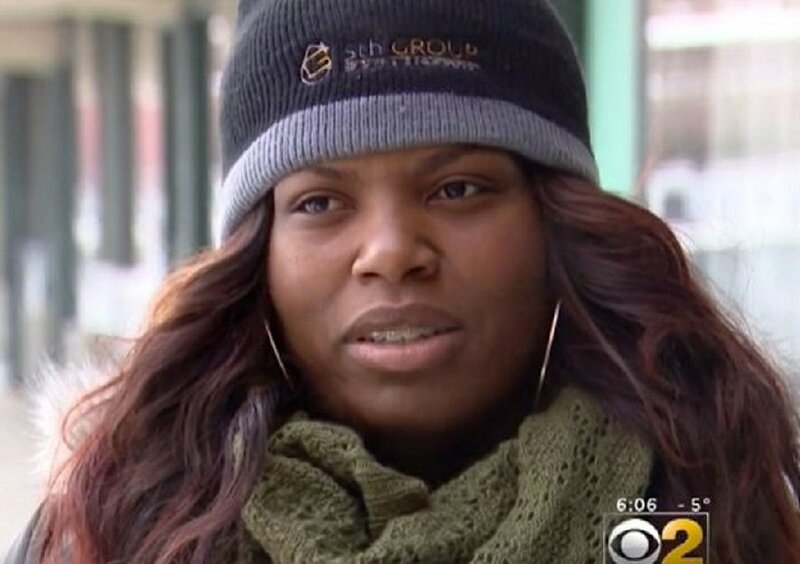 As the historic and deadly cold snap swept through Chicago and areas around the midwest U.S. this week, a local businesswoman, Candice Payne was worried about the fate of the homeless population outside. While the city experienced record sub-zero temperatures, the 34-year-old broker thought of ways to get such people, particularly those at a nearby homeless shelter, out of the cold. With her husband, Payne first went to a tent city near the Dan Ryan Expressway on Tuesday night where a fire caused by a propane tank explosion had left scores of residents homeless. She decided to pay to shelter the over 70 people she found at the site and soon started contacting hotels. “No one wanted them, but one hotel, the Amber Inn, was nice enough to allow me to buy the rooms,” Payne told TODAY. The real estate developer found 30 rooms available at the Amber Inn for Wednesday night at $70 per room, which she paid with her credit card, reports the New York Times. Announcing this on her Instagram account, she asked for help to shuttle the homeless people from the blistering cold in the South Side and into the nearby motel. Lots of people who read her post decided to help, bringing in their cars, S.U.V.s to transport them. Initially, Payne had a hard time convincing the families at the homeless encampment to come with her. Payne assured the men that she would replace any lost belongings and finally, the people, including those with disabilities and a pregnant woman agreed to follow her. “They were so appreciative. They couldn’t wait to get in a bath and lay in a bed,” Payne said. To make them comfortable, Payne also bought them food, snacks, toiletries, and prenatal vitamins while restaurants and other Good Samaritans donated food and monies. With her group of volunteers, Payne drove around Chicago’s South Loop in search of people out in the cold, reports CNN. Spending $4,700 on the rooms and the above-mentioned materials, Payne got additional funding from other people and soon, she was able to pay for 60 rooms for more than 100 people. Temperatures were expected to reach a moderate level by Thursday, hence the people should occupy the rooms till then. However, following the massive donations received (over $10,000), they were able to stay till Sunday. “It all sounded like a rich person did this, but I’m just a little black girl from the South Side. I thought it was unattainable, but after seeing this and seeing people from all around the world, that just tells me that it’s not that unattainable. We can all do this together,” Payne, who is seeking other ways to help the homeless in Chicago said. The polar vortex hitting the U.S. has caused cold temperatures that cancelled flights, closed schools and left people in dangerous conditions. About 12 people have died nationwide due to the cold. Homeless———Who made them homeless—-who are responsible—-angels are not duty bound to provide them shelter—but they did it —great job they have done—they will get reward from the Creator of them and the whole world. Allah says if these angels have helped them in the name of Allah He would have granted reward in abundance, which they might have not experienced ever.